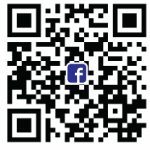 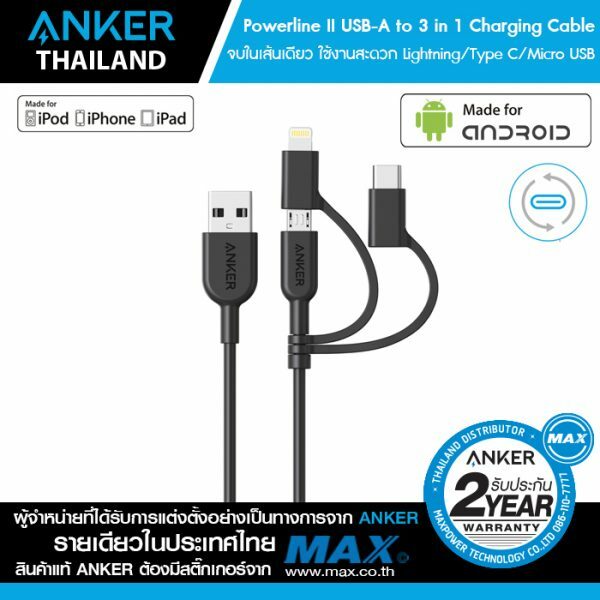 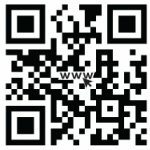 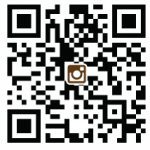 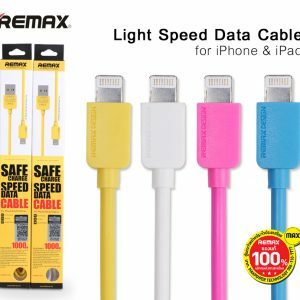 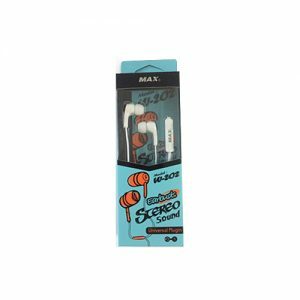 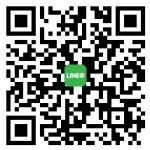 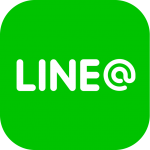 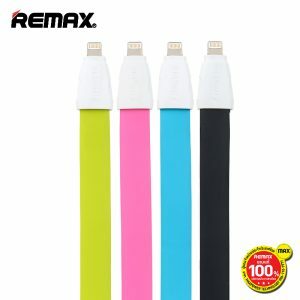 สายชาร์จ Anker Powerline II 3 in 1 Charging Cable (สีดำ-AK95) – MAX Co., Ltd.
PowerLine’s first generation boasted 5x the durability of other cables, but PowerLine II takes it to the next level. 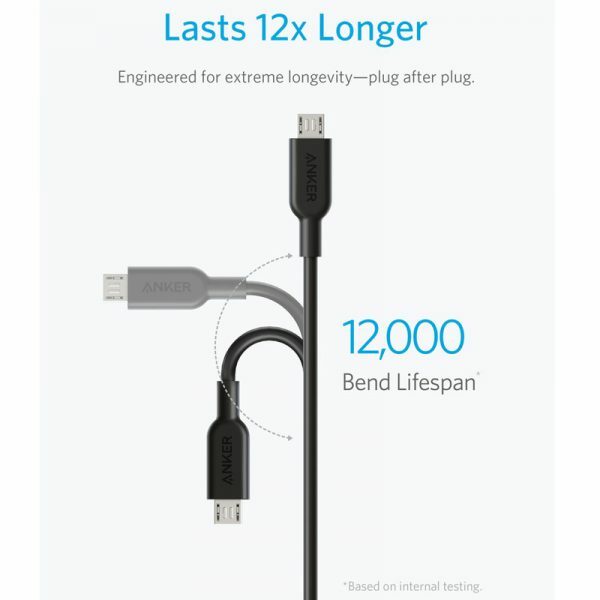 It tolerates being bent over 12000 times and lasts an enormous 12x longer than other cables. 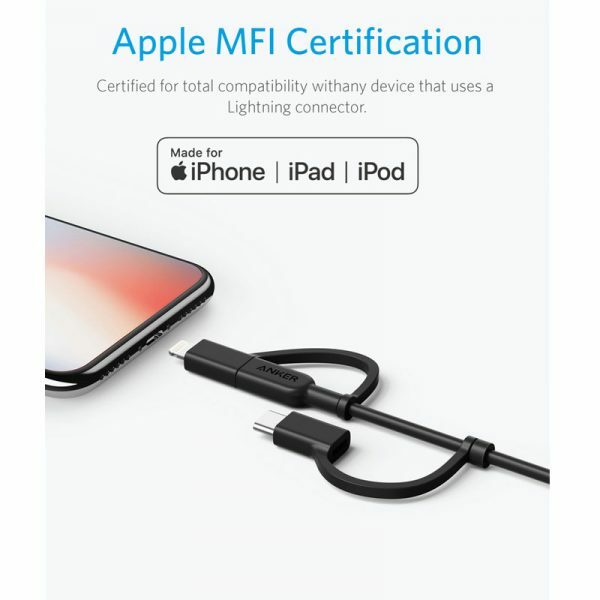 MFi certification means total peace of mind because PowerLine designed to work flawlessly with iPhone, iPad, iPod or any device with a Lightning port. 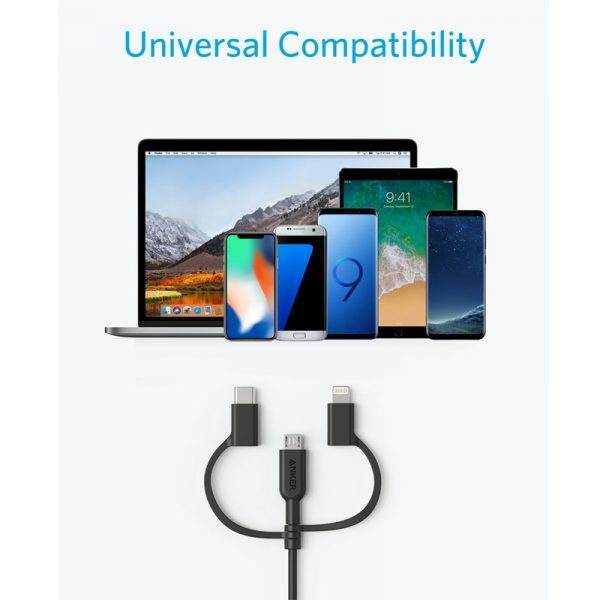 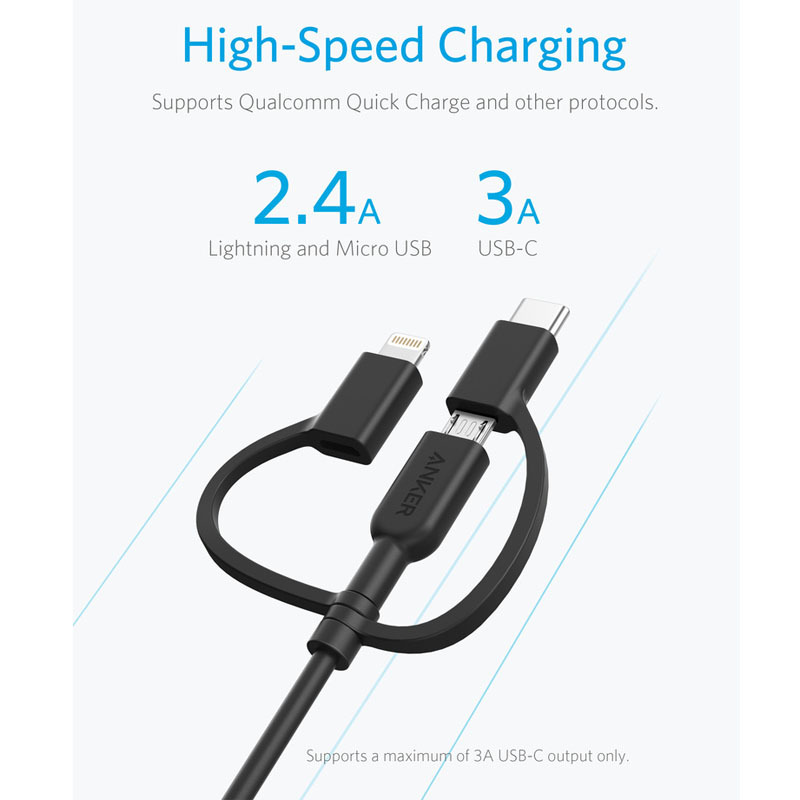 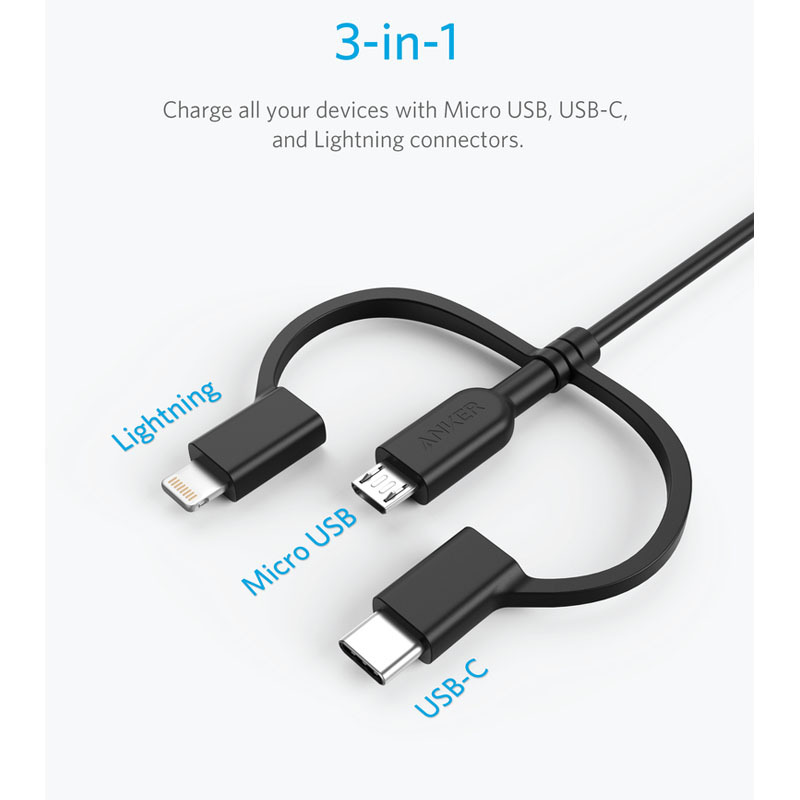 Connect the Lightning and USB-C attachments from the right-hand side (with the Anker logo facing you).